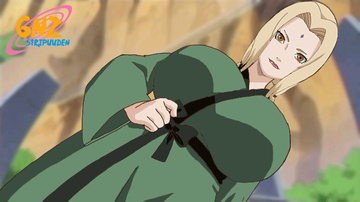 Mei Terumi is the Fifth Mizukage, her immediate predecessor being the Three-Tails' Jinchūriki, Yagura. Mei is a slender woman in her thirties. She has ankle-length, auburn hair styled into a herringbone pattern at the back, a top-knot tied with a dark blue band, and with four bangs at the front. Two bangs are short, with one covering her right eye, and two are long, crossing each other on her chest, just below her chin. Her eyes are light green. Mei is a cheerful person who is almost always smiling regardless of what she is saying, such as when promising to kill someone. She is, however, usually kind, speaking well of others and attempting to avoid conflict. Mei proved to be more open-minded than the other Kage, as she had shown respect and was willing to listen to Gaara; even at one point defending him from the Tsuchikage's disrespectful behaviour. 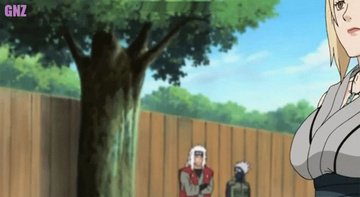 Mei also can be very flirtatious, as she considers Sasuke and wonders if all other male Uchiha are very good looking. 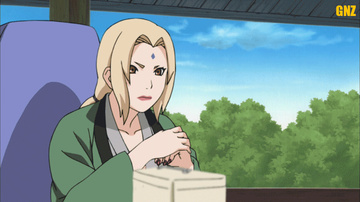 She expressed regret that she must kill someone as handsome as Sasuke, but would give him a kiss before that.